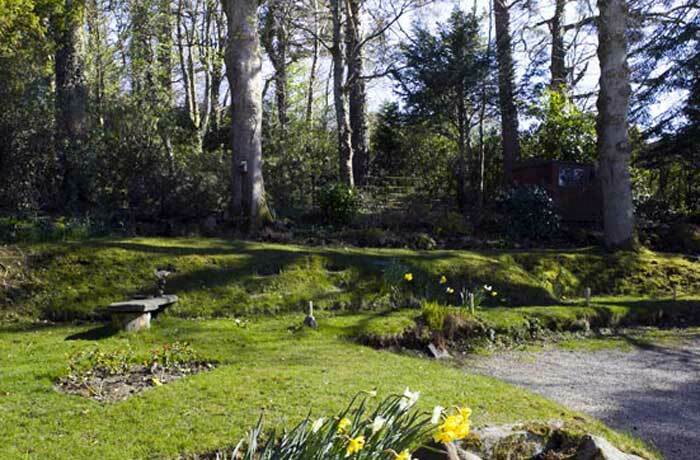 Claremont House is a Keswick guest house offering bed and breakfast to those visiting the Northern Lake District. 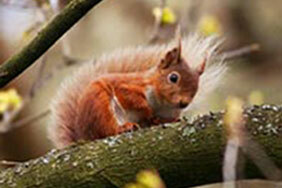 The guest house is an attractive property set in an acre of mature grounds and gardens where you can sit and enjoy the breathtaking views and look for the red squirrels which visit on a daily basis. Our six bedrooms, four king bedded rooms, one super king bedded suite/family/twin bedded flexi room and one super king bedded/twin bedded flexi room, are tastefully furnished, attractively decorated and all are en-suite. 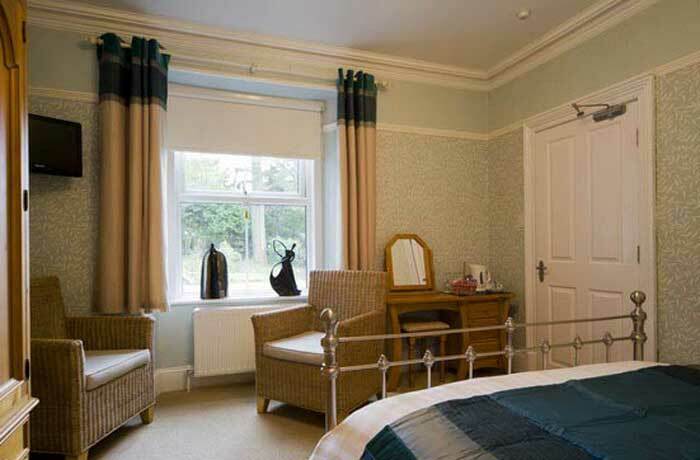 The bedrooms also have full central heating and are double glazed. 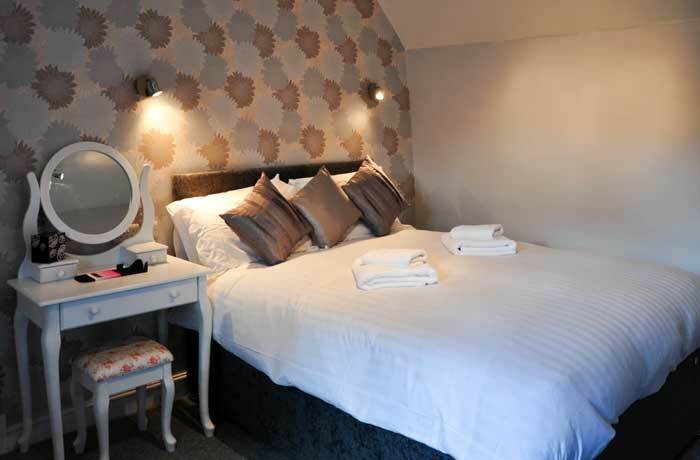 All rooms have flat screen TV’s, clock/radio, hair dryer, hospitality tray, kettle and choice of hot drinks and biscuits. We provide a delicious hearty breakfast with locally sourced produce and can cater for special diets (please inform us of these when booking). Keswick town square is a ten minute walk down Manor Brow. With its many shops, restaurants, pubs, galleries, parks, a museum, cinema and the famous Theatre by The Lake, Keswick has much to offer. 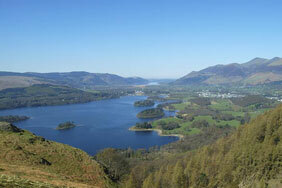 Why not enjoy a stroll along the lake shore from the theatre to the viewing point at Friar’s Crag? 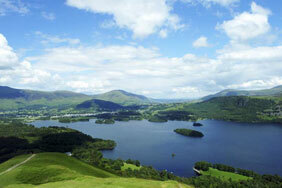 A fairly level walk of about 1 Km but with really terrific views across Derwentwater. There are some fantastic walks and bike rides directly from the guest house as well and we will gladly offer you advice and maps for your trip; we can even provide a packed lunch if needed, just let us know the night before! 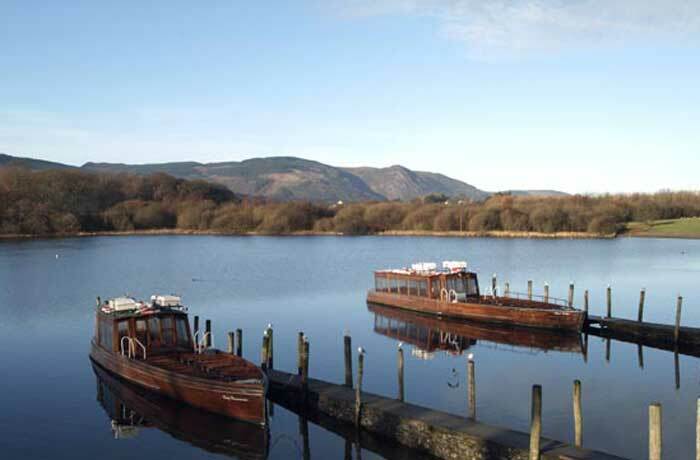 Every effort is made to help you enjoy your stay, we have lots of advice on what to see and do while you are here in the heart of the Lake District, the most beautiful corner of England. 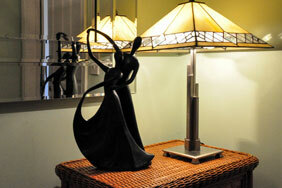 For that special treat, flowers, chocolates, wine or champagne can be ordered in advance and in your room on arrival. "We have been coming to the Lakes for 30 years. This is the best B&B we have stayed in. Can't wait to return."